Welcome to this wonderful fully finished family home in Tuscany. The main floor offers an open concept floorplan with hardwood flooring throughout. Large livingroom with corner gas fireplace open to the kitchen & dining area. The kitchen offers granite, corner pantry, large island & stainless steel appliances. Gas line is installed for a gas stove. The flex room off the front entrance can be used as a formal diningroom or office. Upstairs you'll find a massive bonus room, a large master with walk-in closet & 4 pce en-suite, along with 2 more roomy bedrooms. 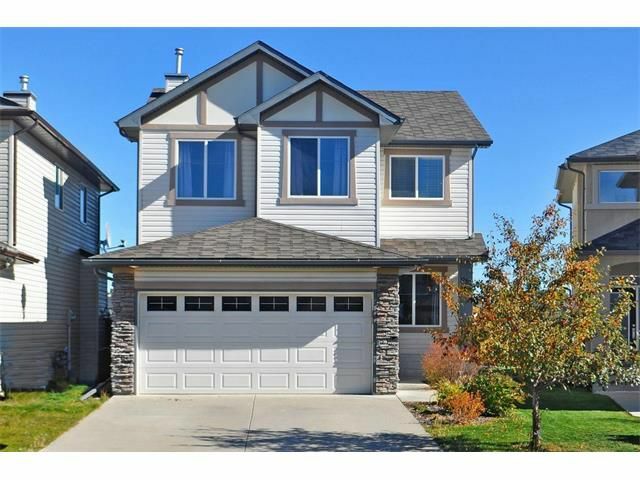 Brand new carpet in the bonus & on upper stairs & hardwood in all upper bedrooms. Basement is fully developed with a 4th bedroom, gym/flex room & a poker/games area with a walk up bar. Backs onto a natural reserve with no neighbours behind. Extra large lot with a large deck & gas line for BBQ. New paint on the main & upper level. Located on a quiet street close to public transportation, parks, greenspace & schools. Worth Viewing! Worth Owning!